Great American Ball Park is the site of the matchup between the New York Mets and the Cincinnati Reds on Wednesday, August 30, 2017. The probable starting pitchers are Rafael Montero for the Mets and Homer Bailey for the Reds. New York opens at +130 while Cincinnati opens at -140. The Mets have a 72-47-11 over/under record and a 57-73-0 run line mark. The Reds are 66-65-0 against the run line and have a 71-56-4 over/under record. The Mets have a 57-73 overall record this season. Starting pitcher Rafael Montero has a 2-9 record with an earned run average of 5.64 and a WHIP of 1.76. He has 84 strikeouts over his 83 innings pitched and he's given up 103 hits. He allows 11.2 hits per 9 innings and he has a FIP of 4.37. The bullpen has an earned run average of 4.46 and they have given up 441 base hits on the year. Teams are hitting .252 against the bullpen and they've struck out 479 hitters and walked 207 batters. As a team, New York allows 9.5 hits per nine innings while striking out 8.7 batters per nine innings. They are 27th in the league in team earned run average at 4.79. The Mets pitchers collectively have given up 1,224 base hits and 617 earned runs. They have allowed 177 home runs this season, ranking them 9th in the league. New York as a pitching staff has walked 466 batters and struck out 1,127. They have walked 3.6 men per 9 innings while striking out 8.7 per 9. They have a team WHIP of 1.46 and their FIP as a unit is 4.49. As a team New York is hitting .248, good for 22nd in the league. The Mets hold a .439 team slugging percentage and an on-base percentage of .316, which is good for 24th in baseball. They rank 22nd in MLB with 8.5 hits per game. 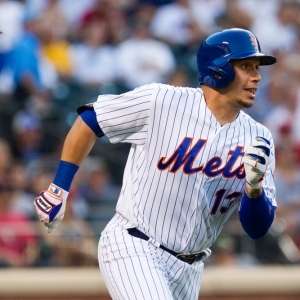 Asdrubal Cabrera is hitting .256 with an on-base percentage of .330. He has 97 hits this season in 379 at bats with 39 runs batted in. He has a slugging percentage of .393 and an OPS+ of 91. Jay Bruce is hitting .262 this year and he has an on-base percentage of .330. He has totaled 123 hits and he has driven in 88 men in 470 at bats. His OPS+ is 121 while his slugging percentage is at .526. The Mets have 1,101 hits, including 223 doubles and 193 home runs. New York has walked 412 times so far this season and they have struck out 1,037 times as a unit. They have left 859 men on base and have a team OPS of .755. They score 4.61 runs per contest and have scored a total of 599 runs this year. Cincinnati has a 55-76 overall mark this year. With an earned run average of 7.99, Homer Bailey has a 4-6 record and a 1.97 WHIP. He has 43 strikeouts over the 56.1 innings he's pitched. He's also given up 80 hits. He allows 12.8 hits per nine innings and his FIP stands at 5.54. The bullpen has an earned run average of 4.64 and they have given up 479 base hits on the year. Teams are hitting .247 against the Reds bullpen. Their relievers have struck out 502 batters and walked 216 opposing hitters. As a team, Cincinnati allows 9.3 hits per nine innings while striking out 8.3 batters per nine innings. They are 30th in the league in team earned run average at 5.37. The Reds pitchers as a team have surrendered 1,203 base knocks and 693 earned runs this season. They have given up 215 home runs this year, which ranks 1st in Major League Baseball. Cincinnati as a staff has walked 504 hitters and struck out 1,071 batters. They give up a walk 3.9 times per 9 innings while they strike out 8.3 per 9. Their team WHIP is 1.47 while their FIP as a staff is 5.16. As a team, they are batting .255, good for 16th in the league. The Reds hold a .439 team slugging percentage and an on-base percentage of .331, which is good for 11th in baseball. They rank 15th in MLB with 8.7 hits per contest. Joey Votto comes into this matchup batting .311 with an OBP of .447. He has 141 hits this year along with 89 RBI in 454 AB's. He maintains a slugging percentage of .588 with an OPS+ of 167. Adam Duvall is hitting .255 this season and he has an OBP of .306. He has collected 126 hits in 495 at bats while driving in 86 runs. He has an OPS+ of 108 and a slugging percentage of .513. The Reds as a unit have 1,139 base hits, including 202 doubles and 186 homers. Cincinnati has walked 464 times this year and they have struck out on 1,057 occasions. They have had 936 men left on base and have an OPS of .771. They have scored 4.75 runs per game and totaled 622 runs this season. 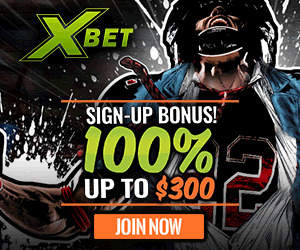 Who will win tonight's Mets/Reds MLB game against the spread?